The Biblical story of Saul -character of the Old Testament that unloads its wrath, for the misunderstanding of many, on David, after the feat of having killed Goliath- has been narrated with a series of resources typically operatic by Georg Friedrich Haendel in his homonymous oratory. The range of emotions is nuanced, even if the emphasis is put on some of the most extreme and tremendous. Despite the pretext of the sacred character of the piece, this appears as an anticipated vision of King Lear, depicting a powerful individual, devoted to loneliness and madness. The psychological complexity of the characters is sensational in the musical adaptation by Haendel, and the staging of Barrie Koskyi. 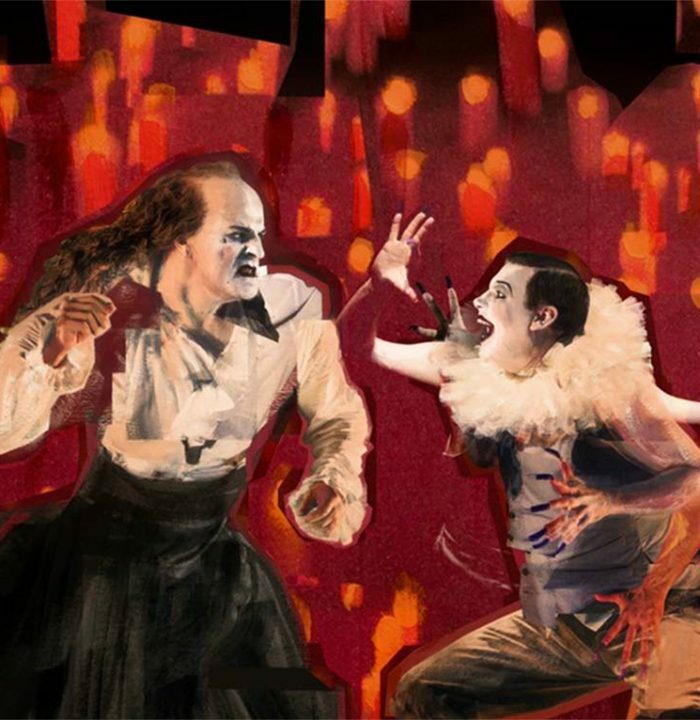 A staging that in the 2015 Glyndebourne Festival had received an explicit praise for its dynamism and character, far from what could be expected from a genre like the oratory. Hence the re-programming of this version of the biblical drama -turned into Shakespearean opera, as it has been recalled- vibrant and rich in unexpected twists. Laurence Cummings, specialist in Haendel, is the conductor, while the leading roles are assumed by two singers -Iestyn Davies and Allan Clayton- who already know what it is like, to succeed at the Glyndebourne Festival. concert series with interests somewhat more transversal, and a diverse public, not necessarily close in geographic sense or familiar with the ordinary programs. One of the most prestigious is undoubtedly the Festival of Salzburg, which to its undeniable musical tradition -and therefore the presence of classical composers and absolutely renowned ensembles- has added activities of great interest, such as masterclasses and lectures (Christa Ludwig or Martha Nussbaum they are two of the most outstanding protagonists) that give an inestimable added value to the proper musical hearing. It is hard to recommend a single event, with the number of concerts that are distributed -various per day- between the months of July and August. From the concerts whose tickets are still available, we highlight four of them: Roger Norrington at the head of the Camerata Salzburg on August 13th conducts pieces far from his usual repertoire (works of Wagner and Schoenberg’s Transfigured Night), which is a rarity to be taken into account; on the August 24th concert, the Mahler Jugend Orchester will perform Stravinsky's Rite of Spring and Dvorak's Cello Concerto with Gaultier Capuçon as soloist, two key pieces of the repertoire, full of strong emotions; another interesting one is that of August 27th, for those who want to listen to the Berlin Philharmonic outside its natural element, with the brand-new director Kyrill Petrenko and the so-called prodigy of the piano, Yuja Wang; finally, on different dates (15, 18, 20, 22 and 28) the opera L'incoronazione di Poppea can be enjoyed in the version of William Christie, one of the greatest specialists in ancient music. The Amsterdam Concertgebouw, one of the most historical Concert Halls of the old continent, seems to be thoroughly committed, this summer, in being recommended for its quality music shows. After offering a wonderfully truffled month of July, full of events -almost like a Festival, offered as “Summer Nights” with a common sponsor- again we feel like going on a journey to the city of the canals. It can be said that this month even exceeds the precedent. Already on August 3rd, a first-rate piano event focusing on Mozart and Beethoven has been scheduled - with two starry works, the Concert no. 21 in C major, kv 467 and the Concert no. 4 in G major, op. 58, respectively- that the Ancient Music specialist Ronald Brautigam will undertake, together with the Kölner Academie. . In a chamber format the Armida Quartet concerton August 11th, is also highly recommended. This ensemble will present works by the last Beethoven, absolute master of the string quartet genre, as well as one of Mozart's "Prussians" and the fantastic quartet composed by Smetana that has a biographical title, "From my life". The intensely Bachian session of August 15th with Isabelle Faust and her Stradivarius is essential, or at least very appealing, in such good company as the Akademie für Alte Musik Berlin ), one of the best period ensembles of recent times. And yet, the greatest doubt, as regards the programming of the Concertgebouw in August, lies in the recommendation of only one of the two evenings dedicated to Gustav Mahler. On the one hand, we recommend the Mahler Jugendorchester, with the 5th symphony as a main course (on August 28th), performed after a first part that will open with the Prelude of Tristan und Isolde and in which Gautier Capuçon will play the Shostakovich Concert for cello no. 1, all under the direction of Lorenzo Viotti. 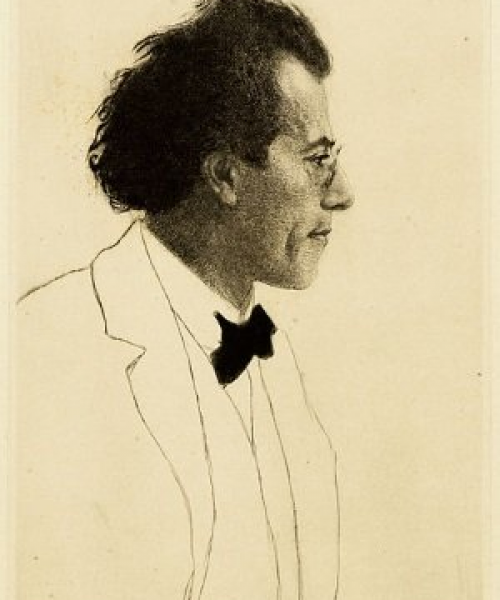 The next day (August 29th), the other, not less recommended Mahlerian proposal will take place. The choice is not simple, because one option can be as good as the other, and the most fanatical ones -like the one responsible for these lines- would surely attend both. On the second date, the central work is none other than the enormous Seventh Symphony conducted by Daniele Gatti, in front of the local, principal ensemble: The Royal Concertgebouw Orchestra. An orchestra whose reliability is guaranteed, more than prepared to assume that symphonic monument. The program is complemented by two pieces by Anton Webern, one of the most advanced composers of his time and a recognized member of the second school in Vienna, who precisely was influenced by Gustav Mahler. Terry's concert Riley with his son Gyan. A concert that will be able to enjoy an extremely broad audience, such as the one that, for example, gathers at the Sónar (the Barcelona festival in which he performed last June). From those already familiar with his career in the field of minimalist composition, followers of the kind of contemporary classical music used to playing the Kronos Quartet (Steve Reich, Gorecki, Phillip Glass), music lovers in general; those perhaps less accustomed to the new tendencies, but open-minded (actually most of the public has become familiar with this type of musical creations through films and series, that incorporate it naturally). 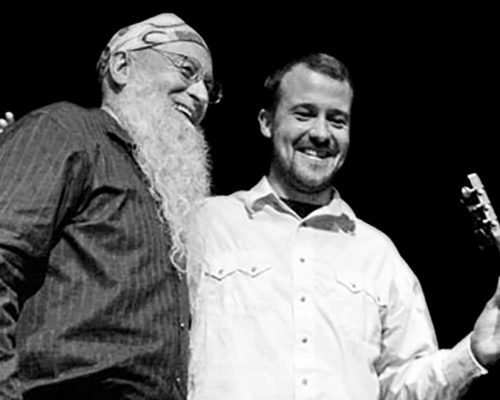 The eclecticism is present in the work of Terry Riley but materialized through a personal coherence that incorporates the influence of John Cage, Jazz improvisations and oriental music. Also, his son Gyan, guitarist, practices improvisation live, having performed as a soloist or in ensembles with Lou Reed, John Zorn, Kronos Quartet, the San Francisco Symphony or the Philadelphia Chamber Orchestra. The dilemma, the contrast between a natural reality and a virtual one is no longer of our time. It has become clear, after many samples and artistic creations -from the dawn of the cinematographic genre, for example, sometimes in an absolutely explicit way- that the nature of the human being resides in the possibility of creating a second nature, no less real than the first. The interrelation and even confusion of both was exemplarily postulated in the pioneer Metropolis (1927) by Fritz Lang that, in some way, seems to be inspired by the romantic story of E. T. A. Hoffmann, namely, in the personal, actual reality of the artificially created automaton. Almost a century later, the possibilities of robotics and digital design seem inexhaustible, and they are undoubtedly increasingly day by day. Nobody ignores that one of the most advanced countries, in this area, is Japan. 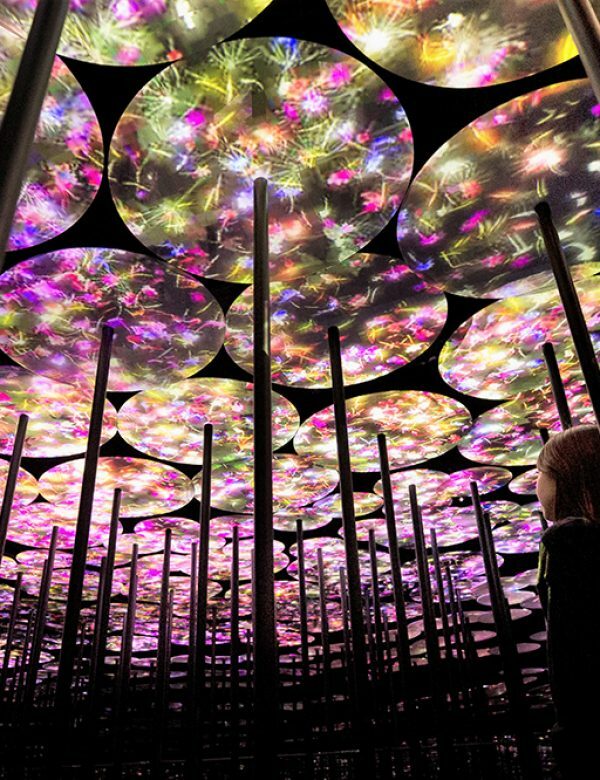 In Tokyo one can admire a Digital Art Museum with no equal or precedent, named Borderless -claims to be created “without limits”, in flow, by teamLab. The exhibitions may not be temporary, but appear to be new at every visit, and the rooms, which present different themes -without offering completely figurative elements- are linked by the same kaleidoscopic evolution. An installation in perpetual change, that provokes new impressions at every moment and according to the behavior of the visitors, their interactions. A fascinating immersion in the reality artificially created by the human, as an imitation of nature, to which inevitably belongs. “Players. Magnum's photographers enter the game”. With more than 200 images in color and black and white, the work of 46 different artists, shows a plurality of approaches on the reality of playful activities. From the more natural and self-evident meaning of the term, the inherent to a scene almost forgotten in our cities, such as children playing on the street, to other more complex and even unconscious forms of participation in the series of rules -game’s rules- preestablished to obtain a personal satisfaction: life as a competition, in which triumphs the one that better follows them, or the one that better infringes them, or even the one that accumulates more chances to play. The sample #ExpoPlayers is curated by photographers Cristina de Middel and Martin Parr, renowned for their ability to capture some of the most extravagant or overcrowded playful tendencies. Most images imply that, whether we know it or not, we all are playing. The idea of homo ludens seems still valid, an idea that is not merely postmodern, although -without any kind of doubt- in our time the casuistry, that ratifies it, is almost infinite. The characters that illustrate such idea are effectively involved in an activity that entertains, sublimates or even makes bearable the situations they live. Some of the great names in 20th-century photography, belonging to Magnum, have explored this anthropological disposition, and of course also contemporary photographers, with accredited merits and spectacular results. dedicated to Dorotea Lange and Vanessa Winship. The first, known especially for the images she took during the Great Depression, became a name among documentary photography -she became in fact one of the founders of the genre- when reporting with her camera situations of injustice. A strong woman, who lived through some of the hardest years and "used her camera as a political tool to bring light" as a denunciation, i. e., to improve the living conditions of the men and women of her time. On the other hand, in the Vanessa Winship exhibition -which totals more than 150 images- we find a contemporary vision of the fragility of human landscapes. The photographer, awarded with the Henri Cartier-Bresson award, explores in the exhibition And Time Folds the way human beings make those marks -conscious or not- that Lacan called signifiers. The symptomatic need of memory is attempted also by external features, even epidermically -tattoos, for example- that seek to reveal some indelible essence, resistant to fluctuations and over time. The transcendence of the passenger goes hand in hand with the experience of immediacy, in some occasions linked to solemn declarations -life counsels- that the subject himself ignores or hardly applies but that, in any case, are captured by the camera. to reality and conceiving it. It is well known that the issue of gaze is fundamental in surrealist art, and we can remember -to bring a single example- the manifesto that Luis Buñuel and Salvador Dalí signed in 1929, with the creation of the short film Un chien andalou and the mythical scene of the torn eye, an unpleasant image that effectively remains in the retina as a paradox. The impossible vision, constitutive of a qualitatively different vision; an apperception with mythical reminiscences, paradigm of the tragic wisdom of Oedipus. 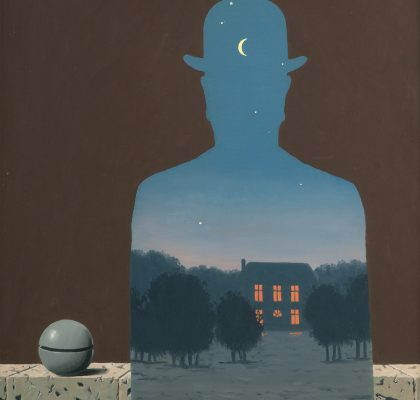 In the exhibition dedicated to Magritte at the San Francisco MoMA, the visitor will find some of his most emblematic creations, made throughout the decades of the forties, fifties and sixties, during his creative maturity. More than 70 works of art in total, organized into nine thematic areas. The iconic, almost naïve character of many of these paintings contrasts with what is hidden. Images that manage to convey the enigma, whispering critical truths without fully revealing them, that is, without simplifying the deep flow of their silent implications. 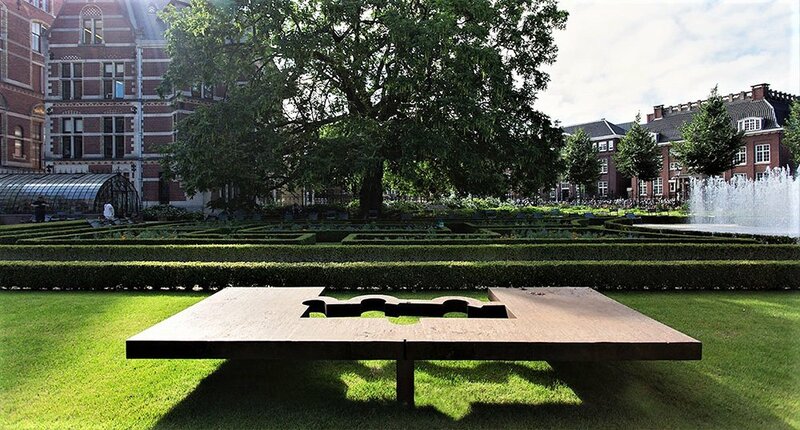 Giant Sculptures by Chillida is the title of the exhibition, which until mid-September can be enjoyed in the gardens of the prestigious Rijksmuseum in Amsterdam, one of the most important pinacotheques in the world. Outside, in the open space -between the sky and the green- the masses of iron kindly twisted by Chillida are claimed as timeless works of art. In fact, they work in very diverse contexts, as revealing an invisible, universal plot in flagrant contrast with its materiality. There are nine large pieces that are gathered here -for the first time in the Netherlands-, coming from the MACBA (Barcelona Contemporary Art Museum), the Peggy Guggenheim Collection in Venice, the Eduardo Chillida llida-Pilar Belzunce Hernani Foundation, the Ordovas Gallery (London) and a private collection. Pieces of different periods are included, which make explicit the spatial dialectics between fullness / emptiness, interior / exterior, gravity / balance. Pieces as important as the Arco de la Libertad, from 1993, or the Homage to Calder, from 1979. In addition, you can admire a sculpture from the Peine del viento (“Wind’s comb”) series, unforgettable due to its popular location in Donosti. The work, here, enjoys a completely different location, suggesting a new relationship between the elements.